Christmas Crafting Time is Here! Christmas crafting comes a little early to my craft room because I have to get designs out for others to make in time for their holiday decorating. I have just released the cutting files for 3 new tree ornaments. These are loosely inspired but Polish Folk art. 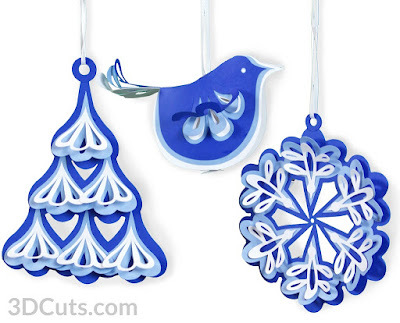 There are 3 different ornaments all similar in design. 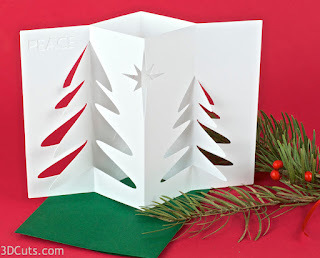 They each use the curled paper as a 3D element but all can be stored flat! I also completed the same files in a festive color scheme. 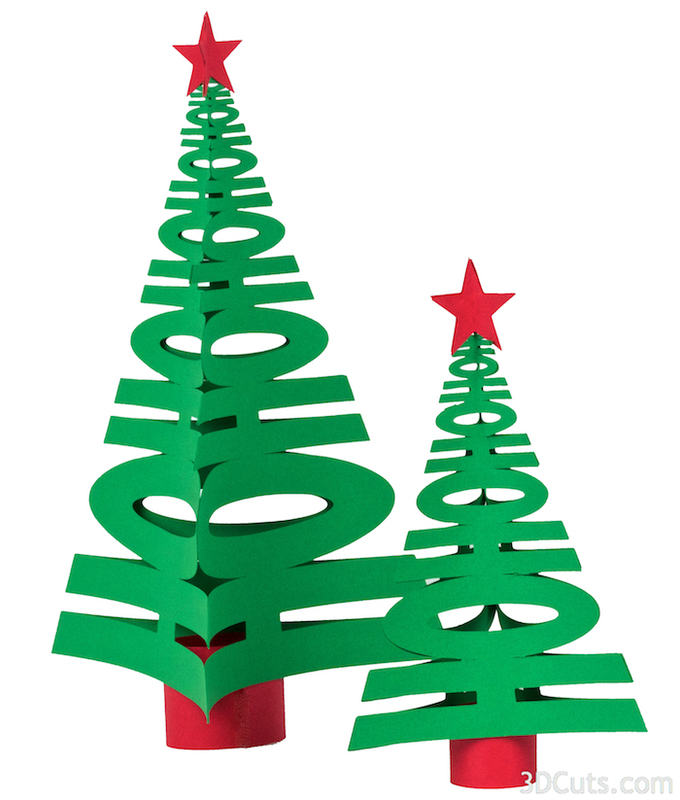 Any coordinated pairs could be used so you can customize it to match your Christmas Tree color- scheme- if you have one. I also spent some time re-doing some old files that were only available in the .studio format through the Silhouette Store. New on the 3Dcuts.com site this holiday season are a couple of my earlier card designs. And a contemporary classic of mine is the HoHoHo trees for table decor. 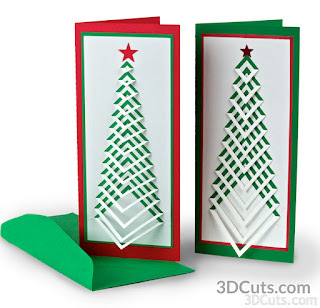 Again new to 3dcuts this year but previously available on the SIL store. 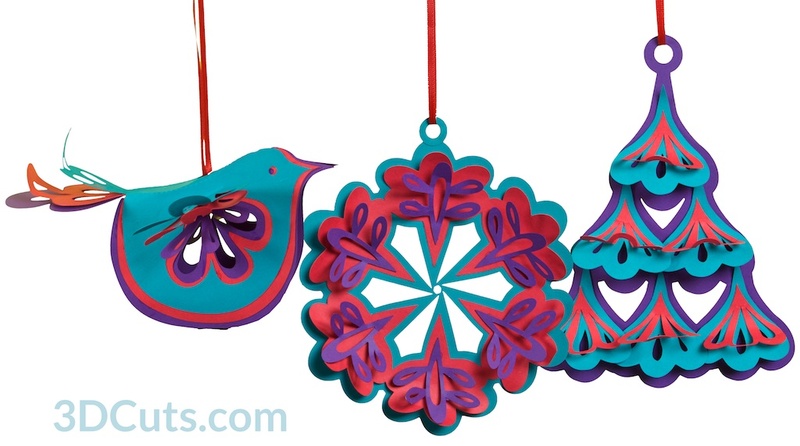 All of these are available on the Christmas Theme page at the 3dcuts.com website here.